Anthony Atamanuik performing as the 45th (and last) President of the United States, Donald Trump, was my choice for Sunday, so when at the first show he straight up told the audience that there would be repeated material at the later show, I can't in good faith hold that against him. Thus, in fairness to him, I'll review both of the shows together, as they were far more similar than they were different, but with each having their own unique charms. The Winter Garden show was clearly the more polished and prepared material, while the interview format of the Lightbox led to some very funny and playful improv with the moderator, Luke Gordon Field. Atamanuik's skill as an improviser was fully on display at both shows, moving seamlessly from prepared material to picking on audience members, getting seemingly lost on a train of thought, all while never breaking character in one of the most uncanny impressions in modern history. A few times at the Winter Garden show, it wasn't that difficult to unfocus my eyes just a little and genuinely feel like I was seeing the man himself, if it weren't for the fact he was talking about Prime Minister Gary Trudeau or recapping the plot to Romancing the Stone for seemingly no reason. What both shows shared, and what was actually incredible to experience in two voices (albeit from the same man), was Atamanuik's impassioned plea for sanity and reason in the face of tyrants like Trump, and the system that allows for something like his presidency to happen. In the Winter Garden it was a monologue, while at TIFF if was Atamanuik speaking as himself after wiping off the orange makeup and shedding the wig. He can absolutely be forgiven for veering away from straight-up mockery for a few minutes to analyze the fractured state of the U.S., as he made it clear that for the three years he's been doing the impression, he's pretty certain he knows more about Trump than anyone else on earth. After seeing his sublime, hilarious, and at times chilling performances, I can't say I disagree with him. 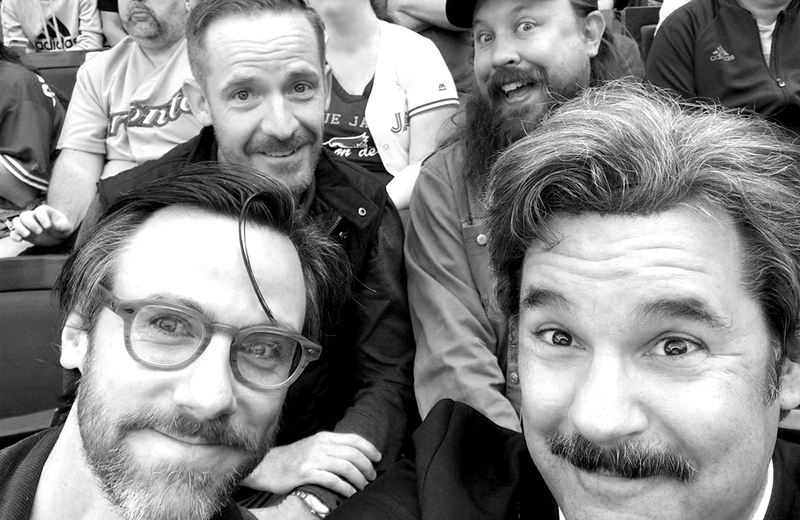 Graham Clark and Dave Shumka's long-running Stop Podcasting Yourself made its triumphant return to Toronto, and the stars aligned at the perfect time, as Paul F. Tompkins just happened to be in town to be the show's guest. PFT and the Stop Podcasting chaps have had a long rapport, and the recording was as loose, fun, playful, and hilarious as one would expect. Unencumbered by the restraints of other podcasts with strict themes and segments, the three men were just catching up and cracking wise, making the audience feel like we were eavesdropping in on the three funniest people at a party. Reflections on their earlier trip to a Blue Jays game (pictured above! ), and Paul and Graham's attempts to guess what the premise of Undercover Boss was, were definite highlights. As a long-time fan of the show myself, I'll admit I felt truly lucky to be there and for the guest to be PFT, so when I say this was a major highlight of the festival for me so far, just know that my opinion on this matter is biased as hell. But whatever, I got to choose which things I reviewed, so I picked things I thought I would like. Surprise surprise, I thought this was great. 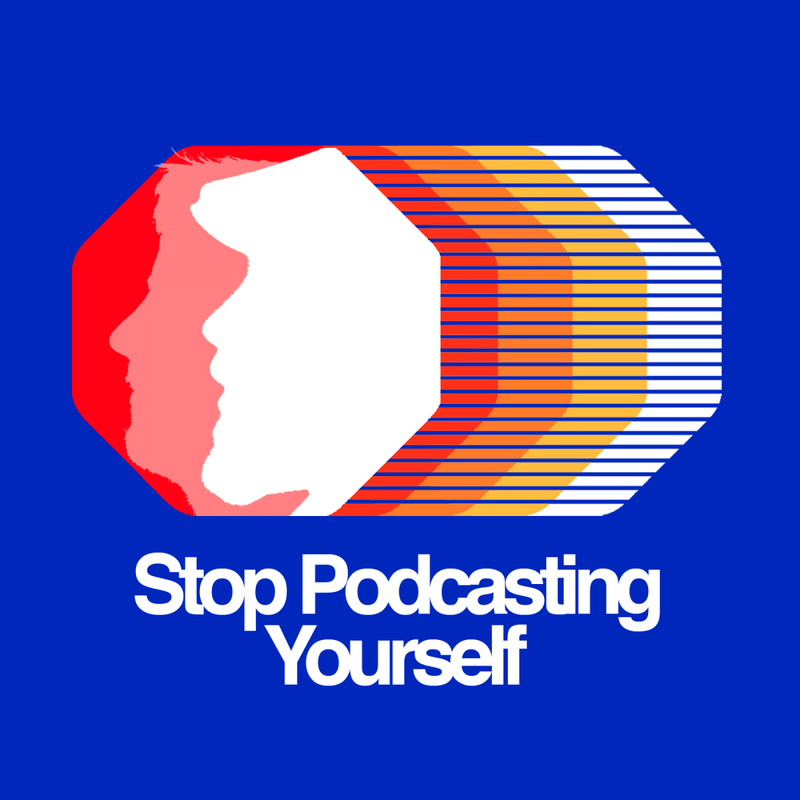 They may have only had one Toronto show, but readers in Winnipeg should definitely see Stop Podcasting Yourself when they come to the Park Theatre this Tuesday, September 25. Passes and individual tickets for JFL42 -- which runs September 20-29 in venues across Toronto -- can be found at jfl42.com/choose-your-pass. J.D. Renaud is a writer, comedian, producer, and visual artist originally from Oakville, Ontario. You can follow his weird thoughts on Twitter at @jdrenaud.